The football and cricket club “AC Milan” was founded in 1899 by the Englishman Alfred Edward. 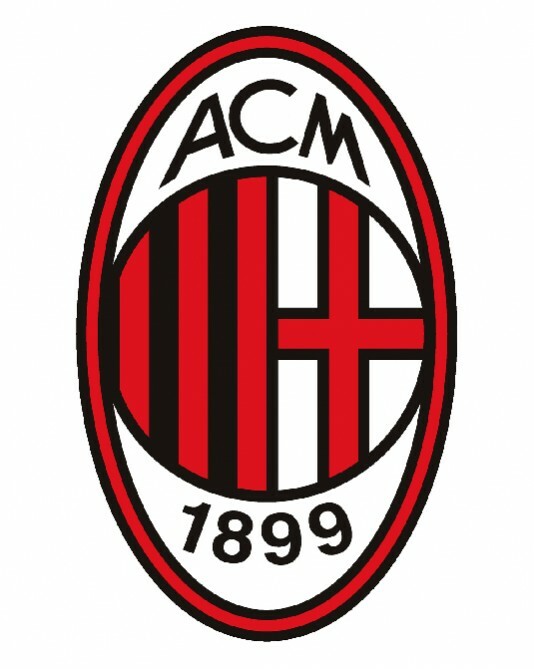 In 1901 AC Milan won its first title in Italy. 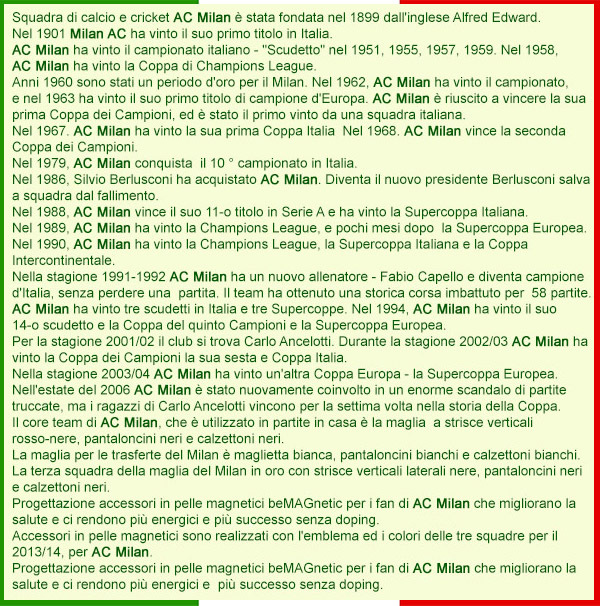 AC Milan won the Italian championship - "Scudetto" in 1951, 1955, 1957, 1959. In 1958, AC Milan won the Champions League Cup. 1960s were a golden era for AC Milan. In 1962, AC Milan won the championship, and in 1963 it won its first title of European champions. AC Milan managed to win its first European Cup, which was the first won by the Italian team. In 1967. AC Milan won their first Cup in Italy. 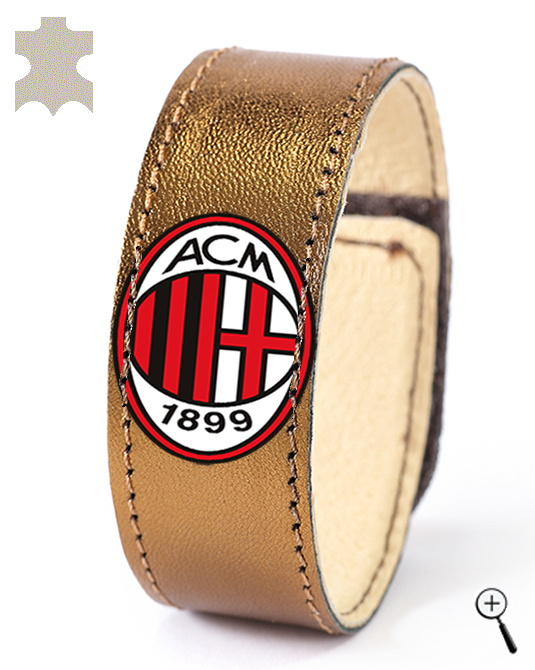 In the next year 1968 AC Milan retakes it. In the next season comes the coveted second European Champion Cup. In 1979, AC Milan won their 10th championship in Italy. In 1986, Silvio Berlusconi bought AC Milan. When becomes the new president, Beluskoni saves team from bankruptcy. In 1988, AC Milan won his 11th title in Serie A and won the Italian Super Cup. In 1989, AC Milan won the Champions League, and a few months later - the European Super Cup. In 1990, AC Milan won the Champions League, the Italian Super Cup and the Intercontinental Cup. In season 1991-92 AC Milan has already a new coach - Fabio Capello and becomes the champion of Italy without losing a match. The team achieved a historic undefeated run which lasts 58 games. AC Milan also won three league titles in Italy and three Super Cups of the country. In 1994, AC Milan won its 14th Scudetto and 5th Cup of the European Champions and the European Super Cup. For the 2001/02 season on the head of the club stands Carlo Ancelotti. During the 2002/03 season AC Milan won its sixth Cup of the European Champions and Coppa Italia. In season 2003/04 AC Milan won another European Cup - the European Super Cup. In the summer of 2006 AC Milan was again embroiled in a huge scandal of match fixing, but Carlo Ancelotti's boys win the seventh Cup in the club history. 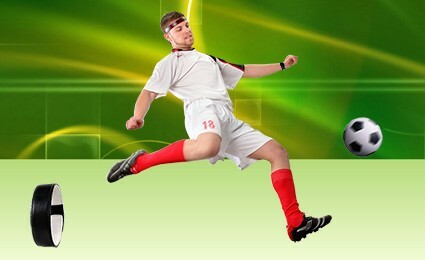 The away kit of AC Milan is white shirt, white shorts and white socks. The third kit of AC Milan is golden shirt with side vertical black stripes, black shorts and black socks. 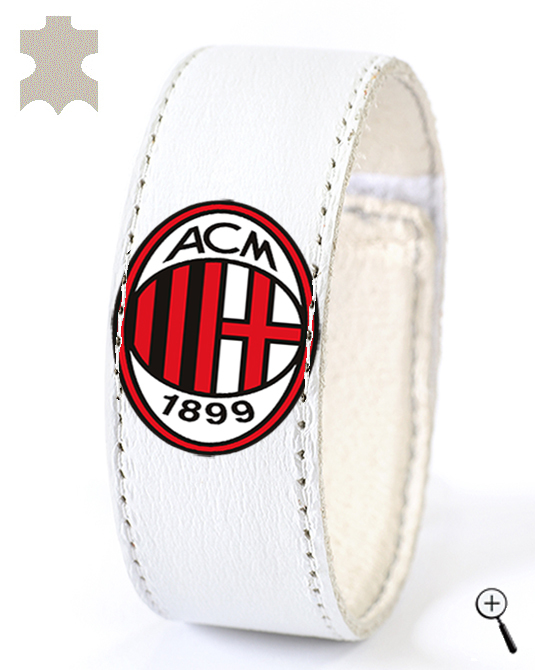 BeMAGnetic design magnetic leather accessories for fans of AC Milan that improve health and make people more energetic and more successful without doping. 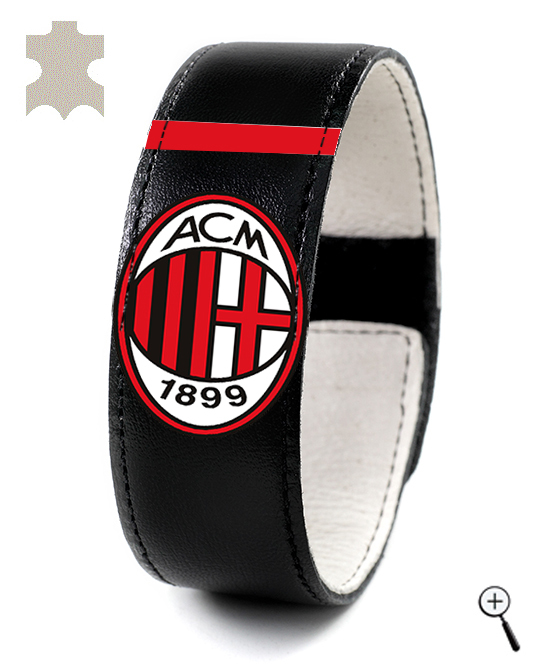 The magnetic leather accessories are made with the emblem and colors of the three kits of AC Milan for the season 2013/14.